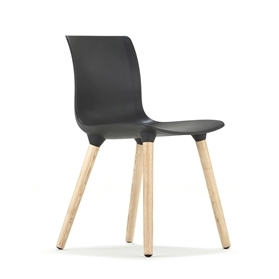 Quincy is a dining or meeting chair with an elegant, pared down construction comprising of a seamless polyurethane shell and four solid hardwood legs poised on nylon glides. Designed using only four fully recyclable materials afford the chair a sound environmental specification. An optional two tone PU shell is available.